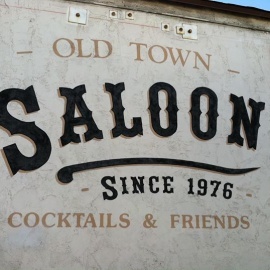 Old Town Saloon is a family owned and operated bar located in Old Town San Diego. The bar was bought by Sal and Betty Caruso in 1976. Happy Hour is Monday through Friday from 10:30am - 6pm. Ask your friendly bartender for the specials when you come in! Drink prices range from $2- $20. We sell Jello Shots! Our flavors vary day to day, but are always the low price of $2. We always have $2 Natty Lights. Don't forget to look for our Beer of the Month special. We have pool tables for only a $1 per game. And have an Internet Jukebox where you can find any song imaginable. 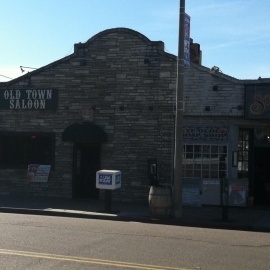 This brick cantina, meant to resemble an old cowboy bar, offers sports viewing on TV & drinks.